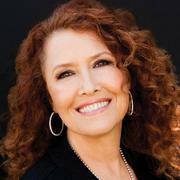 by Steve HueyMOR singer-songwriter Melissa Manchester, whose father was a bassoonist for the New York Metropolitan Opera, began singing commercial jingles at age 15 and went on to become a staff writer for Chappell Music while attending the High School of Performing Arts. After taking a songwriting class at New York University taught by Paul Simon, Manchester took her talents to the Manhattan club scene, where she was discovered by Bette Midler and Barry Manilow; the two hired her as a backup singer in 1971. She recorded her debut album, Home to Myself, in 1973, co-writing many of the songs with Carole Bayer Sager. 1975s Melissa produced her first Top Ten hit, Midnight Blue, and set the tone for most of her career with its direct, slickly produced MOR pop sound. She and Kenny Loggins co-wrote the latters 1978 duet hit with Stevie Nicks, Whenever I Call You Friend, and the following year, Manchester returned to the Top Ten with Dont Cry Out Loud. 1980 saw Manchester become the first singer to have two movie themes nominated for Academy Awards (Ice Castles and The Promise); two years later she achieved her highest Billboard singles chart placing with the number five hit You Should Hear How She Talks About You, which won a Grammy for Best Female Vocal Performance. Through the 80s and 90s, Manchester has alternated occasional recording with scriptwriting and acting, appearing with Bette Midler in For the Boys and on the television series Blossom as the title characters birth mother. In spring 2004, Manchester returned with her first album in 10 years. When I Look Down That Road, which included collaborations with Beth Nielsen Chapman and Keb Mo, marked her first proper release with Koch.